The upcoming G20 meeting is critical if the world wishes to avoid the economic turbulence seen in the 1930s, the UK government has warned. 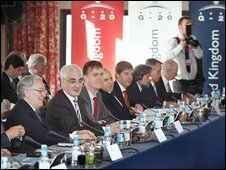 Cabinet minister Douglas Alexander said the summit in London of the G20 group of rich and emerging nations next month “was an important moment”. G20 finance ministers pledged to make a sustained effort to beat the recession after they met on Saturday.